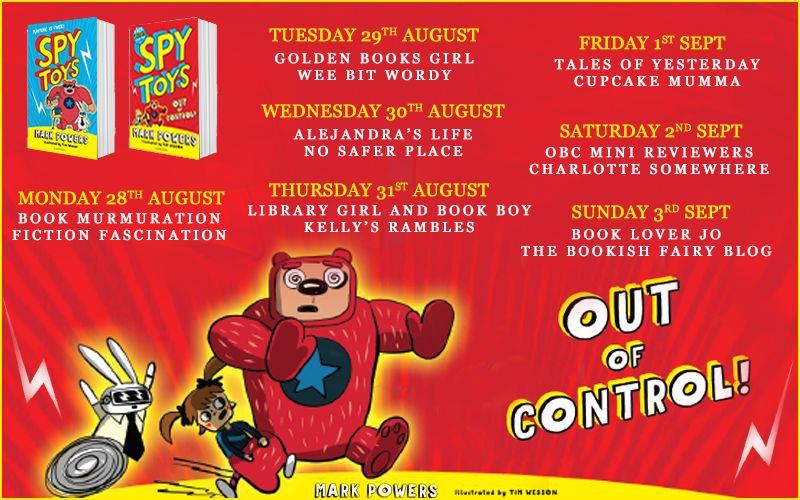 With the recent release of Spy Toys: Out of Control by Mark Powers, I’m absolutely delighted to be on the blog tour for this series. 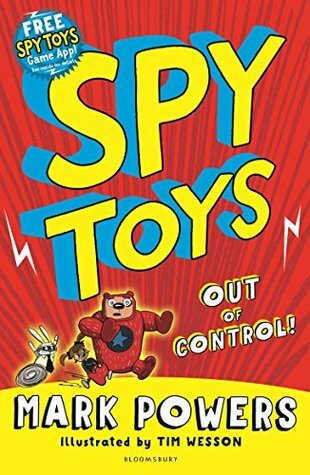 Today I’m here to share my review of the first book in the series, Spy Toys. Be sure to check out the rest of the stops on the blog tour too! Dan is a Snugliffic Cuddlestar bear – he should be perfect for hugging. But because of a faulty chip, Dan is so strong he could crush a car. Thrown on to the rejects pile, he meets Arabella, a Loadsasmiles Sunshine Doll, who has a very short temper and is absolutely NOT good with children. Soon Dan, Arabella and Flax (a custom-made police robot rabbit gone AWOL) are recruited by Auntie Roz, the ‘M’ of the toy world, and together they make up THE SPY TOYS. 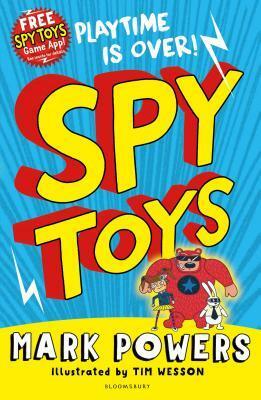 Spy Toys was a surprisingly pleasant read. It’s been a while since I read a book like this and it reminded me why I fell in love with reading when I was so young. The ability to escape into another world or story was something I just loved and I think this book will provide that experience for many little readers. Who didn’t wish that their toys could come to life when they were younger? I know I certainly did and so even my older self was thrilled to see that this story was based around that very concept. It was nice to see how this story showed young readers that even the ‘faulty’ toys who weren’t good enough to be sold could become the heroes of the story. There were some great morals in this book that I think would resonate with young readers and would certainly bring discussion points for parents reading this with their children. I loved how silly this book was (and I mean that in a nice way!). There were silly names such as ‘Loadsasmiles Sunshine Doll’, ‘Snugaliffic Cuddlestar bear’ and so many more. The irony of these names as you get to know the characters they are associated with will not be lost on any adults reading these books either. This book is also crammed full of some really fantastic and eye-catching illustrations. It’s not often I read books with illustrations so these were a welcome addition for me but I’m sure any young readers will enjoy looking at these as they move through the story too. With a fantastic, exciting adventure and a whole host of wonderful characters, I’m sure this will grow to be a series that kids everywhere will love. Summary: Toy Story meets James Bond in the second book in this incredible action-packed series! Fresh from the success of their first mission, our heroes the Spy Toys – Dan the Snugaliffic Cuddlestar bear, Arabella the Loadsasmiles Sunshine Doll and Flax the custom-made police robot rabbit – are ready for their next task. This time, the secret code that controls every Snaztacular Ultrafun toy has been stolen and all over the world toys are revolting and turning against the children who own them. Can Arabella disguise herself as a super-sweet little doll in order to find out more from the daughter of Snaztacular’s top scientist? Can Dan and Flax chase down Jade the Jigsaw, the puzzling prime suspect for the robbery? And can they save the day before the mind-controlled toys forget what it means to play nice? Author Mark Powers has been making up ridiculous stories since primary school and is slightly shocked to find that people now pay him to do it. As a child he always daydreamed that his teddy bear went off on top secret missions when he was at school, so a team of toys recruited as spies seemed a great idea for a story. He grew up in north Wales and now lives in Manchester. His favourite animals are the binturong, the aye-aye and the dodo.